It is with great satisfaction that Bresimar Automação, S.A. announces another distinction for the quality of its Human Resources practices. 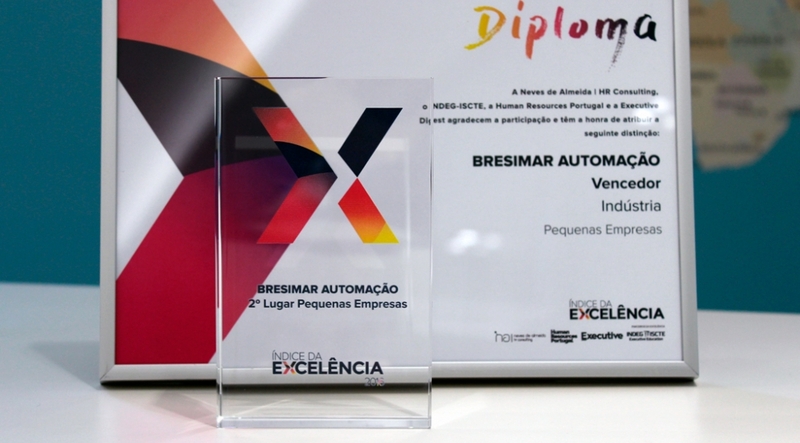 Bresimar was distinguished yesterday for its Index of Excellence, having reached 2nd place in the general ranking of Small Companies and won in the industry sector. The Index of Excellence is a study of organisational climate and human capital development, carried out by Neves de Almeida | HR Consulting in partnership with Human Resources Portugal, Executive Digest and INDEG-ISCTE, which analyses the state-of-the-art Human Resources practices in Portugal and rewards the entities that invest most in this area.